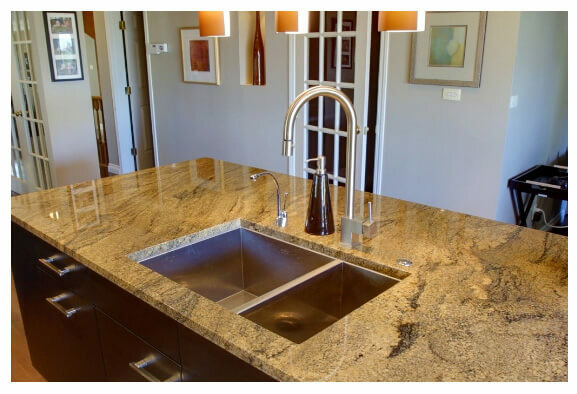 There are many kitchen countertops choices available in the market and if you want to choose the one that goes the best with the rest of the theme in your house, then making a choice can be very difficult. Kitchen is a place where we spend a lot of time and it must be adorned with a stone that looks elegant and stylish at the same time. When it comes to the stone choice that offers you the best of looks while keeping you within the budget, then the marble countertops are possibly the most favoured choice. Here in this article, we are going to discuss the main reasons why you should go for it. With marble countertops, you have variety of choices to choose from; as you can select the length you want. As marble is directly taken from the rocks, you get to choose the patterns that goes well with the theme of the house. The marble is developed when the sedimentary rocks are transformed in the earth’s surface and this causes them to get crystallized. When it comes to the design, the marble offers you a very unique surface and you can be assured that you have the most distinctive piece of design on your countertop. Contrary to popular belief, the marble stone is also available in the shades that are other than white. You can choose from sand, clay, iron oxides, and the all time favourite, white. A very pure limestone rock will have a pure white marble. The colour of the marble is dependent on the minerals that alter the colours at the surface. For example, if the marble has serpentine, then it will have the tint of green. When you choose the white colour for the marble, you can be sure that you have the most elegant and timeless piece of countertop in the kitchen. This looks elegant, classy and serves you all the purpose. Marble countertops have been used in the kitchen for a very long time and they still rule the segment. As marble countertops are less expensive than the granite stone, you can go in for a better quality marble that comes in a more milky white tone and it is sure to look amazing in your kitchen. Marble can withstand the daily wear and tear of the kitchen and can hold up against many situations. Marble is also heat resistant and it makes it perfect for the use in the kitchen as you encounter a lot of heated pans and dishes that are put directly on the countertop. You just have to make sure that you are getting the stone installed by the professionals and the surface of the marble must be properly sealed. This protects it from the scratches and stains. Always ensure that you are keeping them maintained on regular basis and this will allow them to last really long.